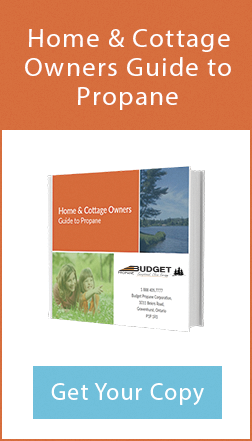 There are two main types of propane tanks – torpedo tanks or vertical tanks. 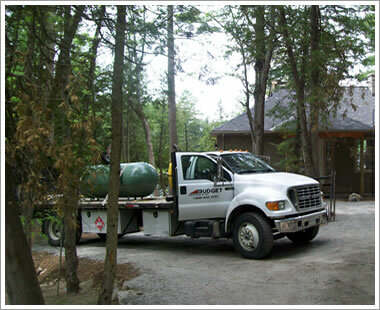 The size and style of the tank will be dependant upon the estimated amount of propane usage. 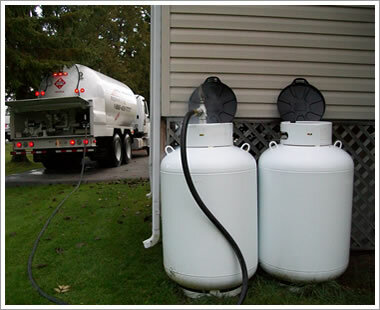 Torpedo style propane tanks are typically used for main source heat applications. The benefit of a torpedo style tank is its large capacity which enables for safe, efficient and reliable delivery throughout the harsh winter months. 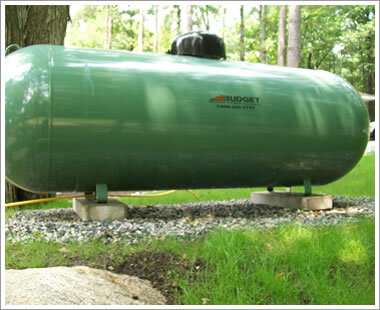 Budget Propane provides green torpedo tanks to help your tank blend in with your property. 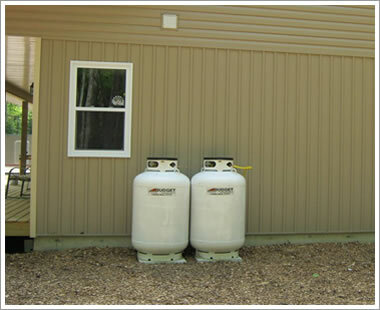 Vertical Style Propane Cylinders are typically used for intermittent or reduced consumption loads, like water heaters, fireplaces, pool heaters and other small appliances. One benefit of a 420lb is that it can be placed right up to a building or near a property line. Most vertical tanks are white, however, you are welcome to use a light coloured, rust-proof paint on your tank to help it blend in with your home and landscaping. 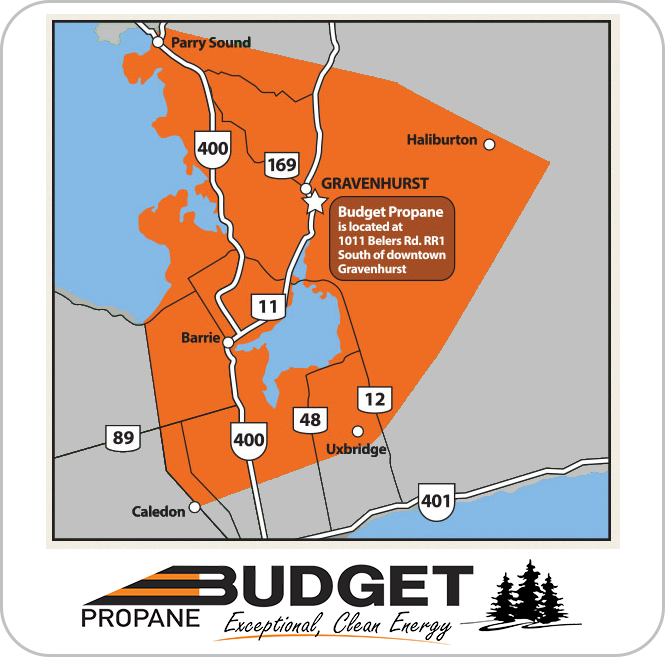 Contact customer care if you have any questions about propane tanks or if you would like more information about becoming a Budget Propane customer!